Contains Peanuts and Wild Yam. Ingredients: Peanut (40%), Wild Yam Flour, Coconut Cream, Cane Sugar. 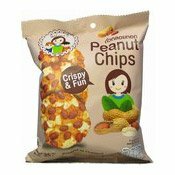 Simply enter your details below and we will send you an e-mail when “Crispy Peanut Chips (花生薯片)” is back in stock!